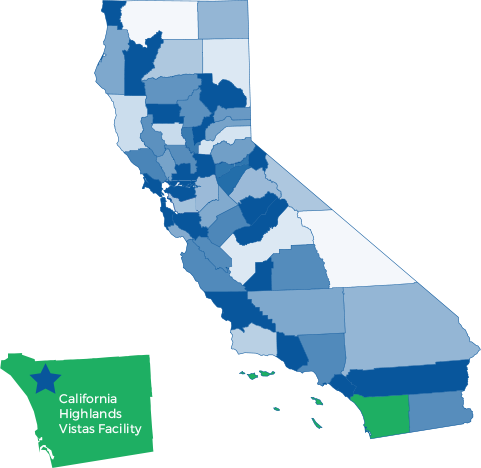 California Vistas is a leading addiction treatment center in sunny southern California. We aim to help you achieve lifelong sobriety through multiple levels of care, from medical detox to residential treatment. Our licensed and experienced staff is available 24-hours a day to help you achieve your goal to become free of addiction. When you pursue recovery at Vistas, certified addiction specialists will tailor your treatment program to your specific needs. Your program will include a personalized combination of different treatment options that may include cognitive behavioral therapy, family therapy, 12-step programs, and more. Our treatment methods are designed to give you everything you need to build a foundation for a successful recovery and a future in recovery. A new day starts today.